Today I wanted to touch on a baby book that has really worked well for Little Cub’s first year. We all try and find a great baby book before our little cub’s are born, and honestly they are really hard to keep up with. 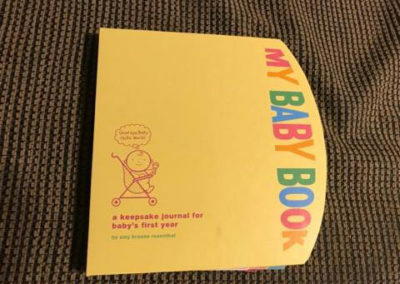 There are some online solutions like Qeepsake that may be good in helping you stay up-to-date with writing in the baby book, but sometimes you really just need a physical baby book that is hand written that you can hand over to your kids when they grow up and show they all the precious memories you had after they were born. 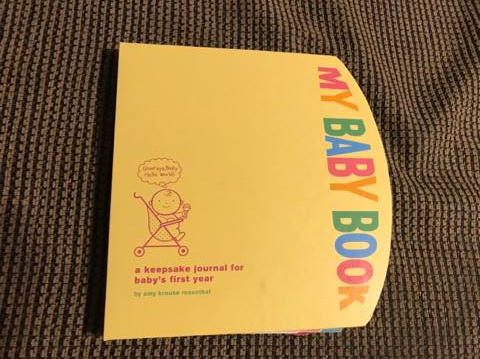 “My Baby Book” is a great little book that provides plenty of features for the money. It contains different sections such as ‘My Arrival’, ‘My First Year’, and ‘My Gallery of Firsts’. In ‘My Arrival’ you tell the story about being pregnant. Tell the baby a little bit about yourselves as parents, paste in stuff like the birth announcements, hospital bracelets, and photos of your baby coming home. In the ‘My First Year’ section you get to create a month-by-month snapshot of baby’s first year. There are plenty of spaces to add pictures. There are also interviews to fill out at the end of month 3, month 6, and month 12 that are questions from the baby’s perspective asking you as the parent, which seems pretty unique and cool. 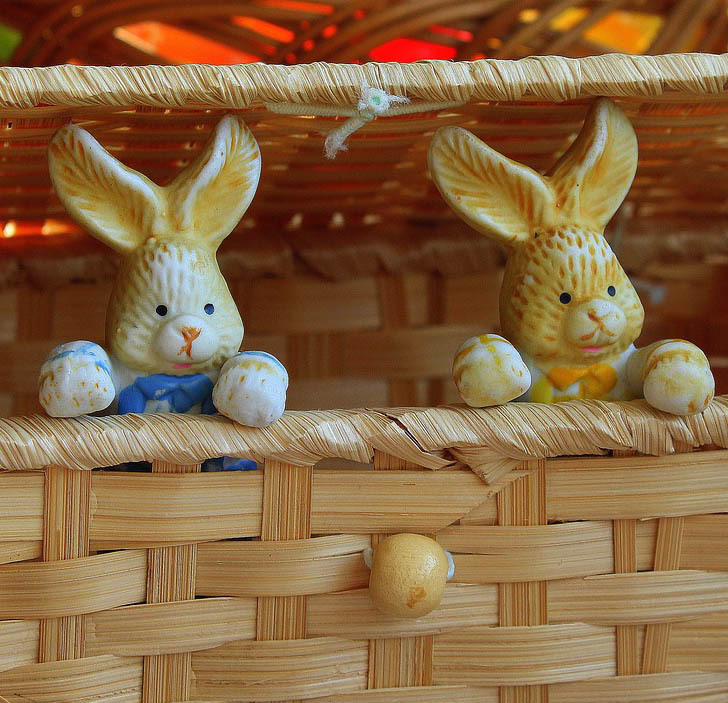 ‘My Gallery of Firsts’ is where all the extra stuff goes. Things such as first such-and-such holiday, first tooth, first big trip, first full night of sleep, first bath, and first haircut (which my little cub is over 1 year old and still hasn’t had a haircut. It’s kind of in her eyes, but she doesn’t seem to mind, and getting a hair-tie to stay in without her pulling it out is impossible at the moment!). I also added the tag from her first gift from Santa, which was a sit-up seat when she was around 4 months old. A lot of room for a lot of great memories! There are also other books in the series to keep track of your little cub’s progress in life. 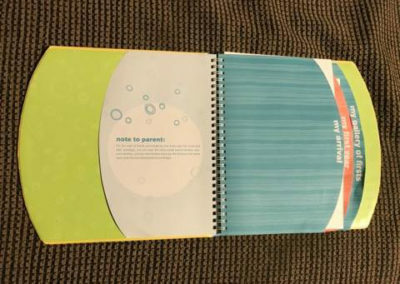 There is “Your Birthday Book” that you fill out every year on your kids birthday until they are 18. “The Big Sibling Book” where the older sibling gets to fill out the new baby’s book about their life according to them, the big sibling. 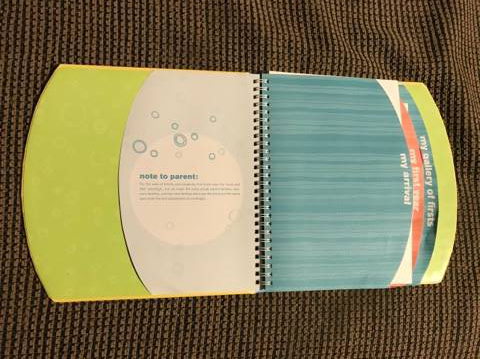 “The Grandparent Book” where grandparents can fill out their own life story and give it to their grandchildren as a great keepsake (sorry, I had the wrong idea of what this one was in the video! It’s not about documenting the grandkids like, it’s about documenting your own so they will know your story!). There is also “The Belly Book”, which is great for capturing time-lapse of your growing belly and documenting your pregnancy as a whole. 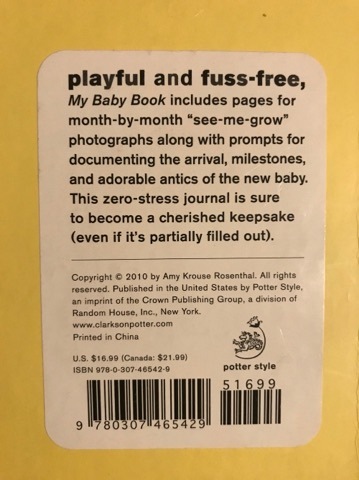 I would definitely give this baby book a 5 out of 5 stars. The book is playful and fuss free (just like the back cover says. There is a ton to fill out, but you really only need to fill out what you want. I was able to pretty much keep up with it (after getting only a little behind a few times), and it has become such a great momento I will be able to give Little Cub someday. There is even an end interview for her to fill out when she gets older and can do some reflecting on the whole book! Overall this book asks great and funny questions and helps you keep track of what you really want to remember about your baby’s first year.